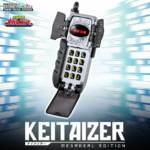 Tokunation › Super Sentai › Super Sentai Artisan MegaSilver Keitaizer Announced! 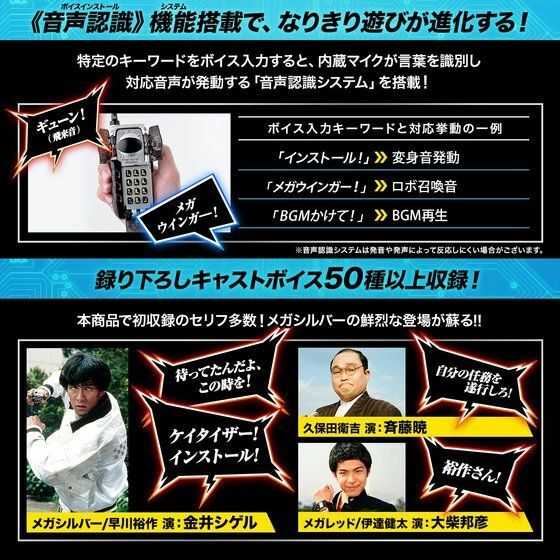 Coming in February, 8500 Yen. 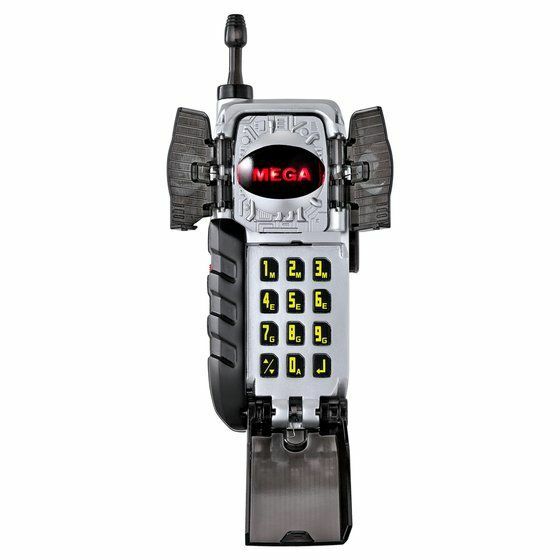 Omg YES Finally I can get the changer of my favorite Megaranger. 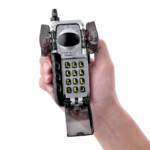 What makes this better than the digitizer is that THEY INCLUDED THE 2 MINUTES AND 30 SECONDS TIME LIMIT ROLEPLAY FUNCTION as part of the hero mode function. 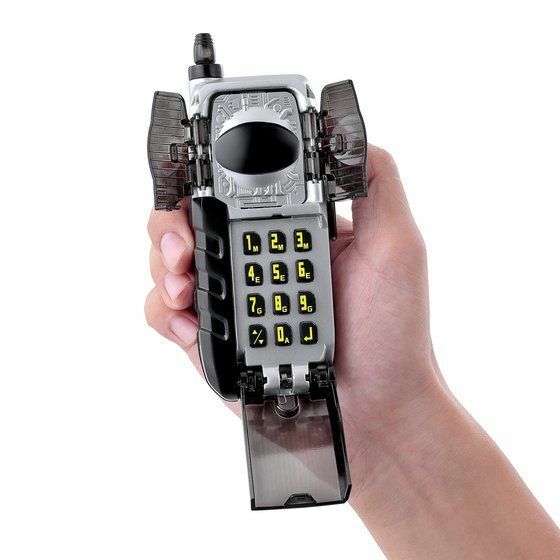 Megaranger fans know what I'm talking about. I�m guessing it�s how long Zhane�s Sentai counterpart could be MegaSilver before de-morphing? 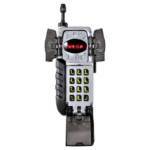 Does it play the Megaranger theme in chiptune? I’m guessing it’s how long Zhane’s Sentai counterpart could be MegaSilver before de-morphing? Yes, correct. It was a hinderance gimmick during his early appearances kinda like Ryan's snake tattoo in Lightspeed Rescue or Burai's 24-hour lifespan in Zyuranger. Checked the scans and nope. 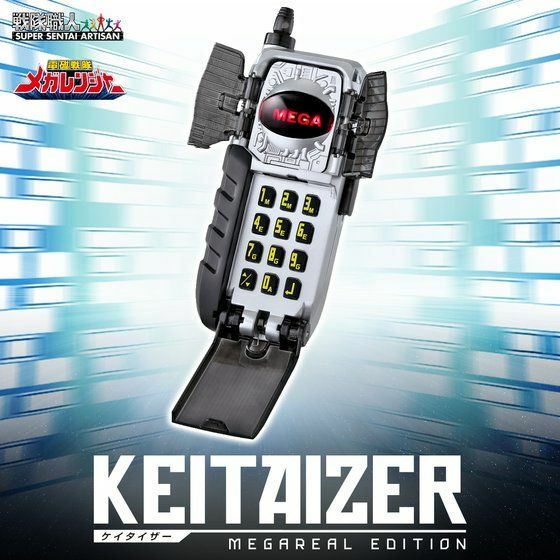 Because the tunes in this product in particular are his personal theme/insert song, one BGM being themed around Mega Silver and another BGM for Mega Winger. Chiptune "Don't Stop! Mega Silver?"